This is a GREAT blog post from Summit Ministries. It really gets to the roots (and I have searched and found more responses/rebuttals) of two main arguments I have been hearing throughout the campaign season, from people who have spoken to me about their thoughts on voting at all in this election. 2: If you’re not registered to vote, stop complaining. 3: You’re NEVER going to get a candidate you agree with 100%. Jesus is NOT on the ballot. 4: Read ROMANS 13 and tell me now if the Bible doesn’t say Christians should get involved in government/politics. 5: DC is only as corrupt as you allow it to be. YOU are the ones who VOTE your leaders and representatives in office. Remember that. Rapid Response: Can Christians Vote for Mormons? Editor’s Note: Summit Ministries endorses neither political candidates nor political parties. While not an endorsement, this Rapid Response addresses two pressing questions many Christians are asking as the autumn elections approach: Is the Mormon Church a Christian church? May Christians vote for Mormons? Kevin James Bywater is the Director and Resident Scholar of the Summit Oxford Study Centre. In his essay on Summit’s website, “Mormonism: A Survey and Biblical Critique,” he addresses these and other questions at greater length than we shall here. Kevin is a former fifth-generation Mormon who was born and raised in northern Utah. He is available to speak and consult on the subject of pseudo-Christian religions and many other subjects. Please contact him at kjb@summitoxford.org to request that he speak to your group. Now that Mitt Romney is the Republican nominee for president, come January 20th, 2013, either Barack Obama will begin his second term as president or Mitt Romney will begin his first. 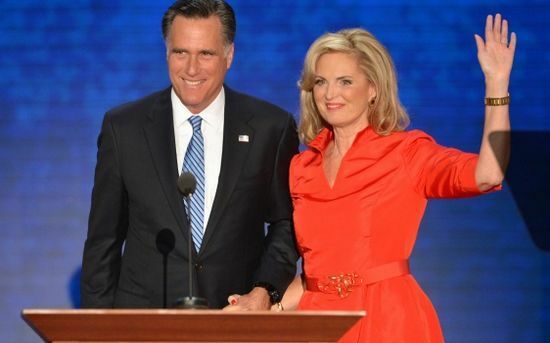 Romney would be the first Mormon to become President of the United States of America. Mitt Romney is a member of the Church of Jesus Christ of Latter-day Saints (commonly known as the Mormon Church or the LDS Church). His religious beliefs are a serious consideration for many voters. According to a November 2011 poll of the Pew Research Center, 51 percent of Americans hold that Mormonism is Christian. However, we find that few Christians know enough about the teachings of the Mormon Church to discern whether it is a Christian denomination. What and who is God? How does one acquire salvation? As we will see, Mormons use the same theological words as Christians. This alone gives the impression that Mormons are Christians. But that is a mistaken impression. With other pseudo-Christian religions (e.g., Jehovah’s Witnesses), Mormons use Christian vocabulary but have a very different dictionary. Thus they have a different worldview. The Mormon Church holds that following the deaths of the first apostles, there was a great apostasy and the gospel and church authority were lost from the earth. They were restored through Joseph Smith, Jr. in the early-1800s. Mormons thus see their church as the one true church, with other churches being corrupted and without proper priesthood authority to administer saving ordinances such as baptism or communion. The Mormon Church teaches that God the Father once was a man who progressed to become a god, that he has a wife, and that all humans and other spirits are their literal offspring. Mormons reject the Christian doctrine of the Trinity,– believing that God the Father, Jesus Christ, and the Holy Spirit are three separate gods who are unified in purpose. Jesus is seen as the firstborn of God and his wife, with Lucifer being born later. It is believed by Mormons that Jesus attained deity prior to his incarnation on earth. He is our older brother and was literally conceived through a conjugal relationship between God the Father and Mary. The Mormon Church teaches that all humans, prior to life on earth, were born as spirit children of God the Father and his wife(s). Mormonism also teaches that Adam and Eve made a good and right choice in eating of the forbidden tree in the Garden of Eden. Now, as a result of the fall, humans go through mortality with the opportunity of becoming exalted gods by believing the teachings and obeying the practices of the Mormon Church. The Bible (King James Version) is part of the Mormon canon of Scriptures, along with The Book of Mormon, The Doctrine and Covenants, and The Pearl of Great Price. However, the Mormon Church teaches that the Bible has been corrupted in both transmission and translation. Mormons usually hold that their church leaders have sole authority to interpret the Scriptures correctly. The Mormon Church teaches, in effect, that Jesus refinances our sins. The Church teaches that salvation is through baptism and other ordinances and principles. Even so, all people but a few will find a future in one of three heavenly kingdoms, the highest being the celestial kingdom. The baptized faithful will obtain a place in the highest heaven, the celestial kingdom, with the most faithful among them being exalted and become gods themselves, as families, able to produce children eternally. It is only those faithful who live in the presence of Heavenly Father forever. According to the LDS Church, the gospel principles one must obey to live with Heavenly Father forever include being baptized by a Mormon priest, receiving priesthood authority, obeying the Mormon prophets and apostles, and being eternally married in a Mormon temple. In transparent comparison with the Christian faith, one can only conclude that Mormonism is not another Christian denomination but a pseudo-Christian religion. Most contrasts and differences are plain, sometimes admitted by Mormon leaders, and stunningly profound; they include the nature of God (eternal or emergent), the nature of Jesus Christ (eternal deity or spirit child of God and literal brother of all other spirit), the number of gods (one or many), the nature of the fall of mankind (Adam and Eve’s actions were bad or good), and the way of salvation to the eternal presence of God (faith in Jesus Christ or special works and ordinances). Again, we have only briefly discussed the differences. Is the Mormon Church a Christian church? No, it is not. As we noted above: Mormons use Christian vocabulary but not a biblical dictionary. As such, profound confusion reigns when Mormonism is seen as a Christian denomination. This conclusion should not be seen as accusing Mormons of being bad citizens or unfriendly people. Indeed, Mormons may be your best neighbors, capable co-workers, or among your friends at school. As a subculture in America, Mormons are taught to express many values that Christians also hold. Can Christians Ever Vote for Mormons? Many Christians have voiced several objections to voting for Mormons, and that without regard for the candidates’ proposed policies. Below we address some of these objections. As Summit President Dr. Jeff Myers points out in the new Political Animal course, this is a misguided objection, because it misses one crucial point: according to Romans 3:10, all of us, not just particular political candidates, are shot-through with sin. If taken to its logical conclusion, this objection would disallow Christians from being involved in any civil or social activity, politics or otherwise. We also must not forget that in the United States, voting is only one of our civic responsibilities. If candidates are elected and do evil, it is the citizens’ responsibility to hold the officials accountable through exposure, protest, the judiciary, and the next election. While this is true, we ought to remember that in a republic such as ours, we do not elect preachers-in-chief as our presidents; we elect the best person seriously on offer for the job. Nowhere does the Bible stipulate that the only people who are to hold political authority are Christ’s followers. Take, for example, the following biblical heroes: Joseph in Egypt, Daniel in Babylon, or Esther in Persia. The apostle Paul, in Acts 25, appeals to Caesar as a Roman citizen. These biblical heroes were asked to work for the good of others in the confines of often-hostile government leadership. Yet God did not ask them to overthrow or only support believing leadership. He taught them to live justly and to promote societal justice. When we vote for a candidate, we do not vote for all his or her ideas or ideals. That is impossible: people change their minds, and we cannot know all of a person’s opinions. Support for any candidate is not an endorsement of all of that candidate’s convictions. Again, a helpful approach would be to voting for a candidate the same as one would hire a candidate for a job. In this case, the job is to exercise political authority within the constraints of the nations’ laws. While there are objections to be considered in voting for Mormons, there are also reasons to vote for Mormons, or for anyone with worldview convictions that differ from our own. It is Christians’ role to be a preserving agent of a society. As Jeremiah 29:4-7 reminds us, we are to seek the welfare of our city — of our most immediate communities. In other words, we are to be preserving agents, not just of cultures, but also of good political processes. And in our own republic, sometimes preserving the political process involves voting against someone as much as voting for someone. Therefore, if a candidate would not be our first choice to fill a political position, we can vote for that candidate in the hope that a worse candidate does not win. Politics in a fallen world demands prudence. Naturally, objections may be lodged against any candidate’s policy positions. The careful consideration of these questions is what political prudence is all about. For more information on issues such as economic, political, and religious freedom, check out our past Rapid Responses, Journals, and essays. Sometimes, we must look at the practical results of a particular candidate’s victory. Who will a candidate surround himself with to help execute the office’s responsibilities? In the case of president, one of the most overlooked — but perhaps most important — functions is to appoint justices to the U.S. Supreme Court, who then can serve as long as they like. In fact, presidents appoint literally thousands of people in their cabinet, to judicial positions, and to regulatory agencies. And many of these individuals serve for life or at least well beyond the term(s) of the president. Which candidate will best support the ideals necessary for the flourishing of our society: religious liberty, economic freedom, respect for life, and a proper ordering of the spheres of society? Prudence dictates that we take such political decisions into account when deciding how to cast our vote. To summarize, Mormonism is not Christian, but that is not the only (and maybe not the leading) consideration when Christians vote. Christians may vote for candidates who are not Christians, for at issue is not the leadership of a local Christian church or Christian denomination. In the race for president, for example, our goal is not to elect a preacher-in-chief but a commander-in-chief. Political engagement is neither easy nor optional, as Dr. Jeff Myers reminds us. But when we are equipped with biblical wisdom and make prayerful, careful deliberation, we can play our proper role as citizens and seek to shape our society for the well being of others. Hi all! It’s been a while since I last posted something here. I have had a tough semester at my university. My piece of advise for those thinking of taking seven college classes (with two core science courses) and working 24 hours a week… enter with caution. Not that it’s impossible (cause I did it with A’s and B’s), but it’s very stressful. I started really “feeling” it by week 6. I am sooo glad the semester is almost over! I’ve got two more finals. So I wanted to share my literature review with you. Drop some comments too. What would you have done differently? What do you think? Look forward to reading your feedback. Topic: Government restrictions on the right to carry in the U.S. This is a electronic copy and is published by the Intercollegiate Studies Institute. Consider becoming a member of ISI too.